I was looking through my notes the other day and realized that the first salmon of last year were stocked in Connecticut waters on September 18. Most years, the salmon went in around the second week of October, give or take. Having an extra three weeks of fishing last season was a nice treat. I have no way of knowing if we'll be fishing around the same time this year or not, but I want to be ready to go as soon as the fish are. You can look through archived blog posts to find details about how to prepare for the upcoming season, but I'll give a few brief tips here, as well. My first task is to switch over my fly boxes from the flies I use in Canada during the summer to flies I use in Connecticut in autumn. In Connecticut, only flies with one hook are legal, so I have to remove all flies tied on double hooks from my box. As far as the flies themselves go, I'll probably start the season with a healthy mix of summer flies and fall flies. The biggest difference is the size of the flies. If we have September fishing again, I'll mostly use flies in the size 6-12 range, depending on conditions. 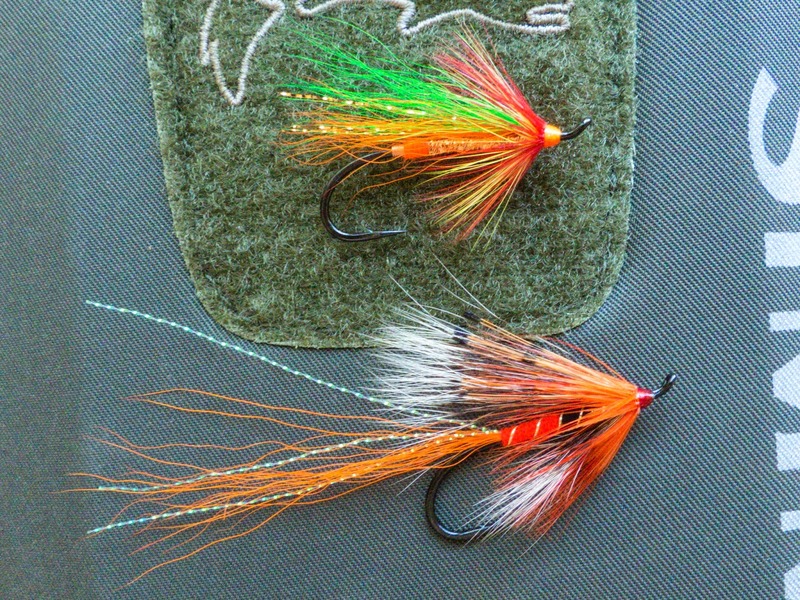 As the water cools (and hopefully rises), I'll switch to larger flies, then mainly tube flies at the end of autumn. As far as rods and reels go, I'm pretty much ready to go. I use some of the same gear for broodstock salmon as I do for sea run brown trout and smaller Canadian Atlantic salmon. If I had to pick one rod to use all season, it would be my Sage Z-Axis 11' 6wt. switch. For single handers, I prefer my old Sage Graphite II 9' 7wt. Just for kicks, I'm going to try to catch my first salmon of the Connecticut season on my first fly rod, a fiberglass Shakespeare 8' 7/8wt. I bought that rod at Benny's when I was 13 years old. With its foam grip and plastic reel seat, it's about as cheap as a fly rod gets, but I'm really looking to catching some fish with it! When fishing with a single handed rod goes, I'm inclined to use a straight piece of mono instead of a tapered leader. I always have a few hand tied leaders with me, but I use them mainly when I'm likely to change fly sizes often. I am going to set up one rod just for fishing the riffling hitch and dries this season. That rig probably won't see anything other than a 7'-11' piece of 8lb. test Maxima. Other than that, everything else is pretty much ready to go. I posted regular fishing reports here last season. I will try to do the same this year. Here's hoping we're only a month away...or less! I carry a small inventory of flies I sell through my website. If you want a specific fly or size that you don't see listed, contact me and I will try to accommodate you as best I can. Every year, I catch salmon on flies I don't have listed for sale, but what's in the Fly Shop are my main confidence patterns for Connecticut. Get your orders in early...my busiest season for work is in the fall and I can't guarantee a fast turnaround time once the inventory is depleted. Also, I will be giving guided salmon fishing tutorial trips on the lower Naugatuck River again this season. These trips are mainly geared towards fly fishers with little-to-no wild Atlantic salmon fishing experience. 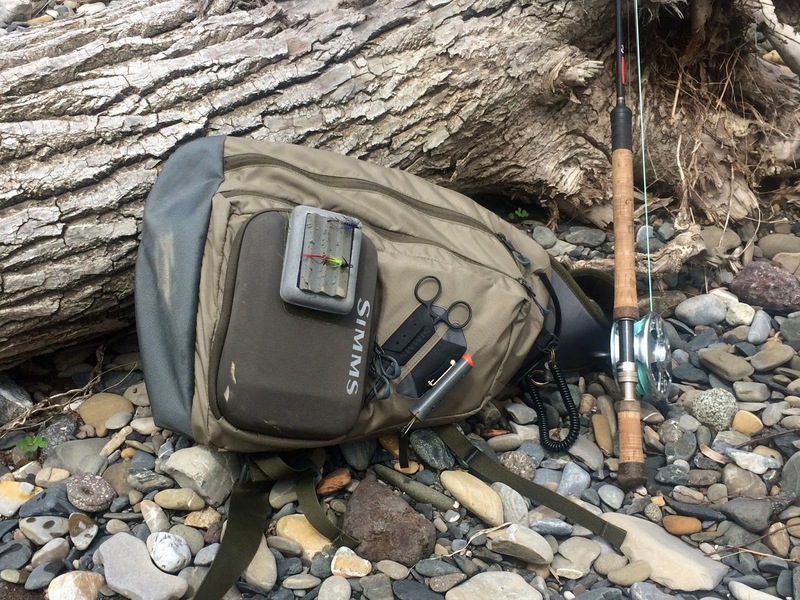 The tactics I use on Connecticut Rivers are the same thing I use when fishing abroad. The same flies and presentations work really well here. My philosophy is to practice at home so you don't practice on the river while on a salmon fishing trip. This is especially important for those of us who choose to fish without a guide for some or all of their trip abroad. It's not trout fishing and it's important to recognize and react to the often times puzzling behavior of Atlantic salmon. If you don't have an Atlantic salmon fishing trip planned and just want to become a better broodstock salmon angler, I can help with that too. Obviously, I can't book dates at the very beginning of the season since we don't know when exactly that will be. However, it is pretty safe to assume the salmon will be in by the second week of October, so feel free to contact me now if you'd like to book something for around that time or later. Visit the Salmon School page on my website for more details.